M.E.C. 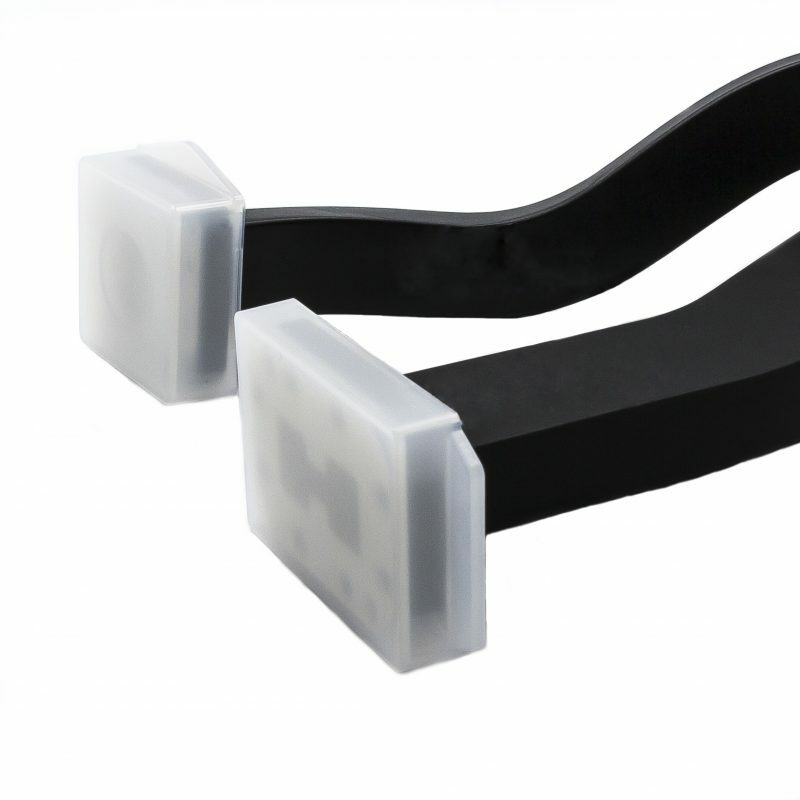 offers reusable, form fitting waveguide covers for double-ridge waveguide sizes WRD750, WRD650, WRD580, and WRD475. These durable covers provide superior, end-to-end foreign object damage protection for waveguide assemblies. Their form fitting snap-fit design ensures that the protective caps securely fasten and that they do not loosen or detach when handled at customer facilities. In response to industry demand, M.E.C. developed mold process sources to produce these caps, creating a reliable O.E.M. source of supply for waveguide protective covers that are offered directly by M.E.C., an industry leading manufacturer of waveguide assemblies. Compatible with WRD750, WRD 650, and WRD580 flange sizes. Compatible only with WRD475 flange size. (1) Specify part number and quantity desired. 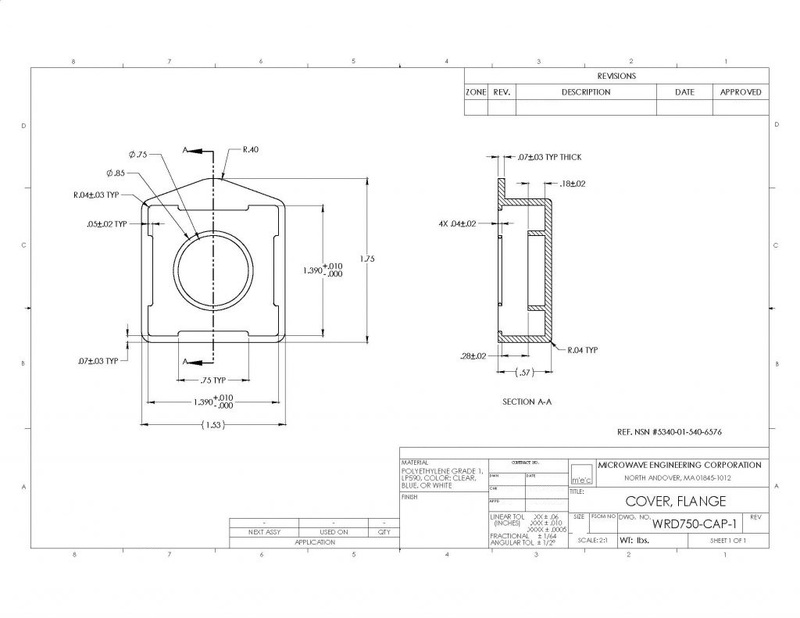 P/N: WRD750-CAP-1 is compatible with flange sizes WRD750, WRD650, and WRD580. 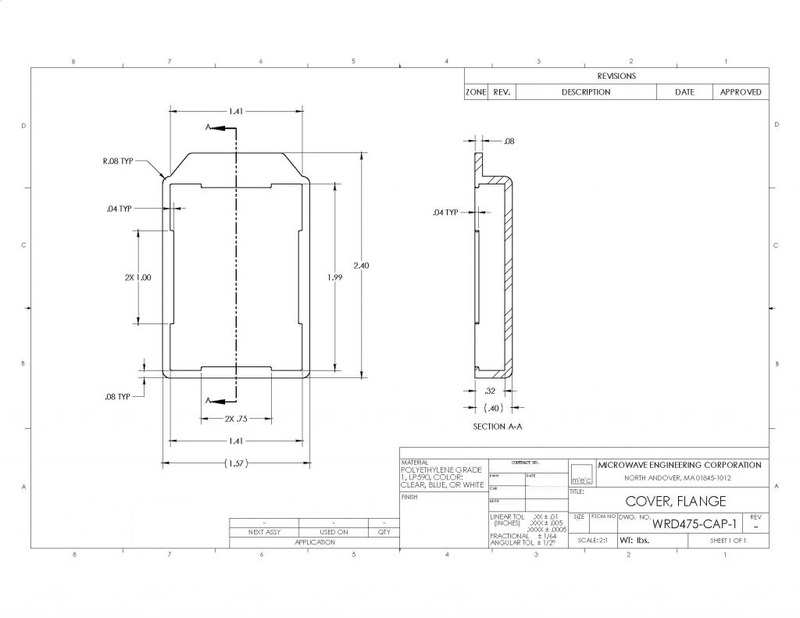 P/N: WRD475-CAP-1 is compatible only with flange size WRD475.